Say you are a 28-year-old female filmmaker with 10 years’ experience in the field working almost entirely with male crews. 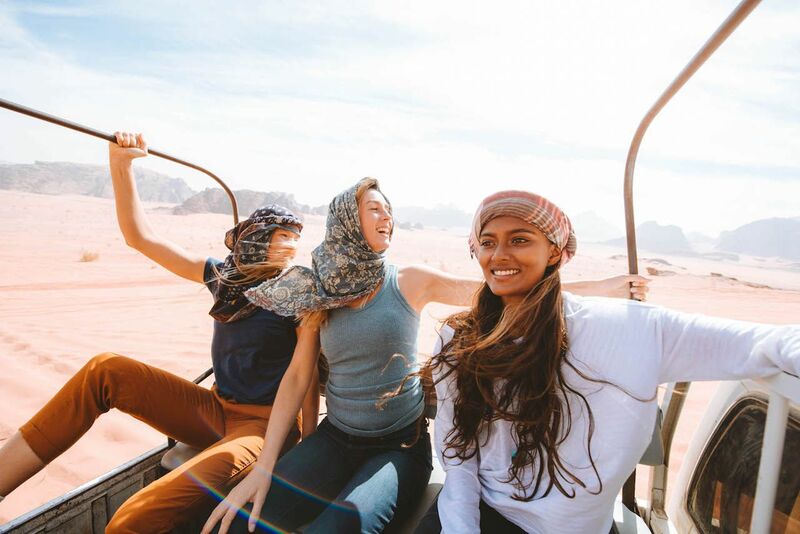 And then you get approached by a photographer friend you surf with that just happens to be putting together a crew of like-minded women your age on a surf-adventure trip to the Middle East to tell a story that empowers women and highlights a region that’s oftentimes overlooked and stigmatized. All with the intention of eating, surfing, and exploring as much as possible. There’s not much money. You have to turn down another project. And you don’t really know the other girls or what to expect. Hell yes. Yes over and over again. 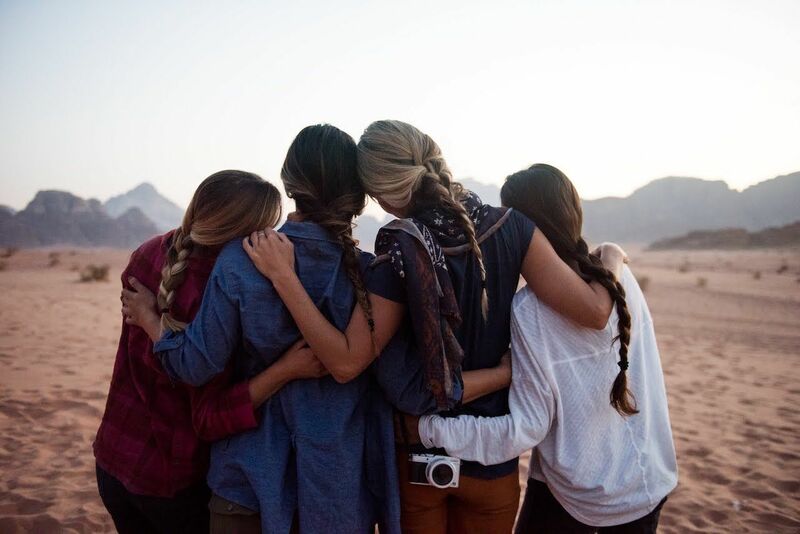 And you never, ever regret that decision that brought you to meet some of your closest friends that you now consider your tribe. That’s what happened to me this past winter. I was part of a crew to film, photograph, and work with some badass women that I’ve admired from the outside for a while. With no expectations or really any idea of what we would be doing, we were off. Meg Haywood Sullivan — She was that surfer who facilitated my involvement in this magical trip. I creepily followed Meg on Instagram for a while before we met. I always thought she was such an intimidatingly badass, beautiful environmentalist and photographer. But then I met her through some mutual friends, surfed with her, and all that stuff was true except for her being intimidating. In fact, she’s proven to be one of the kindest and at times goofiest friends I have. She’s driven and understands the freelance photographer hustle all while purposefully taking on projects with the aim of making the world a better place. I hadn’t worked with her before and to this day I don’t really know why she vouched for me not having seen any of my work, but she brought me into the fold and the rest is history. Anna Ehrgott — Born and raised on Topanga Beach, Anna is the most graceful lady slider I’ve ever met both in and out of the water. She’s one of the first people my age I’ve come across that genuinely thinks about what she says before she says it. She’s thoughtful and meaningful, a master of the written word, curator of eclectic tunes, and she has a great eye for photography. Sometimes perceived as quiet… until you get to know her, and then she reveals she’s secretly one of the funniest, quirkiest human beings to grace your presence. Lisa Marie Sheldon — Quick to laugh, first to smile, always at ease. Lisa is the first to make sure we were all happy. She’s stunning and has been modeling since she was a teenager. But instead of riding out the beauty she was born with, she’s gone on to become a talented producer, writer, and adventurer. She loves to surf. Loves the snow. And loves her adorable Australian shepherd with all her heart. She’s always down for an adventure and has an unbelievably badass 1972 Toyota FJ to get you there. Ishita Malaviya — My Purana ohana. Purana means ancient in Hindi and ohana means family in Hawaiian. We call each other that because we instantly felt a deep connection that only comes with knowing someone for a long time. We must have been friends or sisters in a past life because the connection was instant. She’s awesome, powerful, caring, and at times girly. I love that about her. Oh, and in a country of 1.3 billion people, she also just happens to be India’s first female pro surfer. NBD. The trip itself broke down to three days in Tel Aviv, Israel before we headed south to spend eight days in Jordan. I had filmed in Jerusalem before but never spent any time in Tel Aviv and nothing had prepared us for the energy of the city. It pulsates at all hours of the day and night with an unusually high number of young, attractive people out engaged in intelligent conversation, eating, dancing, shopping, laughing… and surfing. That being said, we didn’t get lucky on waves. In fact, they were dismal at best. And for a group of surfers that had traveled more than 7000 miles to reach this Mediterranean city by the sea, it could have been a huge disappointment. But it wasn’t. Everyone was in good spirits. And with that revelation, we had passed our first hurdle. We quickly realized we were all in the like-minded headspace. We were there to have fun and no matter what was to come our way, we were going to enjoy our time together. Waves or no waves. That was what stuck with me about this trip in general: the positivity and the bond we all formed almost instantly. Yes, I loved the food. Yes, I loved meeting people from different cultures. Yes, I loved exploring new places. I’ve been living a semi-nomadic life for a while now because of what I do for a living and I love it. But it can be grueling and at times isolating. So to have the opportunity to connect with women that travel as much as I do and are passionate about the things was a really cool and exciting experience. One thing we kept coming back to was the question of why we travel. How there is a balance of give and take while on the road. Are we traveling for the right reasons: to learn, to grow, to connect, or are we running away from something? Am I chasing one cool experience after the next without really challenging myself to maybe do the harder things, which can sometimes mean slowing down and saying no? What is really the best way to be spending my time when life is short? It’s funny, I remember having this exact conversation with Anna while we hiked through the ancient city of Petra. I guess those are the kind of meandering thoughts that come up when looking at the faded remains of a civilization that was once in its prime and never imagined its own demise. We also discussed things like how we have no interest in checking off a bucket list. How it’s more important to authentically connect with people and a place rather than see as much as possible in the shortest amount of time. These conversations are what oftentimes happen in the in-between-moments on long drives or simply passing time. And yet they were some of the most magical for me. Funny enough, as this is a piece for Women’s History Month, the beauty of the trip really had nothing to do with us being women. That’s why we chose the name tribe. We wanted it to be inclusive. Because rather then it being about gender, it’s more a like-minded mindset and appreciation for the important things. In the end, my favorite moments of the trip aren’t singular things that happened. (Although Ann’s ride on a runaway horse barreling down the train tracks through the desert while we uncontrollably held on to the outside of a jeep trying to catch her is a top contender.) It was more the overall experience. We laughed non-stop. We got to know each other. We trusted each other. And on top of that what we created and delivered from both a photography and footage perspective was entirely on us, which is an opportunity I rarely get to share with friends. Huge thank you and props to both PrAna, the outdoor clothing company we were working with, and Matador Network for supporting this trip. Without companies like them believing in women and willing to support and share projects like this, this whole thing would have never happened.